Our first story is a report on a recent settlement arrangement between the Pennsylvania Department of Corrections and the Disability Rights Network regarding the treatment of mentally ill prisoners. I think we are going to see more and more of these in the months ahead. In the settlement, the PADOC has agreed to replace the use of solitary confinement with more conventional mental health treatment for the 4000 mentally ill inmates they manage. The settlement also includes education of prisons staff that involves mental health first aid and a 32 hour crisis intervention program. This is good news for these inmates and underscores the need for escalation of mental health services and understanding in the criminal justice system. Unfortunately, like so many things in our specialty, it comes through litigation. Story number 2 is also a legal case. This one involves a severe dairy allergy that was not headed in a county jail in Washington state. The patient was arrested, shared his asthma and sever dairy allergy on intake. That information does not appear to have been communicated to dietary and he ended up collapsing and dying after an oatmeal breakfast. I think this is an interesting story to discuss, not focused on the merits of the case, we clearly do not have all the information here, but to highlight some of the challenges of providing health care in our setting. In my risk management consultation I often come across communication issues within the many departments of our facilities. I was thinking about that component when reading the news item. Panelists offer other challenges that affect allergy management in our settings. 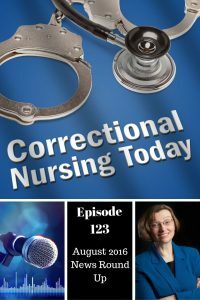 This next story is a reminder that we always need to be on guard for our personal safety when dealing with inmates as patients. A prisoner from the Philadelphia Prison System, their city jail, attempted an escape while at one of the area hospitals for a medical procedure. There were two officers with him, as is customary, and he was shackled hands and feet. It happened while one of the officers was on lunch break and the patient asked to use the bathroom. He had somehow secured the handcuff key and used the privacy in the bathroom to free himself. He then emerged, beat the officer on duty and attacked a nurse on the way out. Lots of protocol breaches to consider in this story but also a reminder that many of our patients are watching and waiting for an opportunity. Our last story is on a positive note. An open-to-the-public upscale restaurant has opened in the south London neighborhood of Brixton…..inside a prison. Seems culinary arts training is being used to reduce reoffending rates and the public can sample the upscale cuisine at a restaurant on the prison grounds. Inmates enrolled in the culinary school must be non-violent offenders who pass a rigorous interview process and end up working 40 hours weekly in the training program. Panelists share their experiences with similar training programs they are aware of. What are your thoughts on this month’s news stories? Share your perspective in the comments section of this post. * The views of the panelists are their own and do not necessarily reflect the views of their employers, their clients, or their families. Hi Lorry, The common denominator that I see in these stories (with the exception of the last) is complacency. In our field a lack of vigilance can be deadly. The question that I have is how do we combat complacency in corrections? Much of what we do is designed to “get em in, fix em, get em out”. This cannot help but lead to a lower degree of alertness. I hope that we can find a way to combat this problem because it is, in my opinion, one of the most important yet non-discussed issues in our field. You are so right, Darryl! I guess that can happen in any specialty, but why is it so common in ours? As this article shows, mental health in corrections will continue to be a “hot button” for reform, as it should be. Secondly, with most correctional facilities still using paper charts for medical records, poor communication of timely and accurate inmate health information will continue to be a problem. 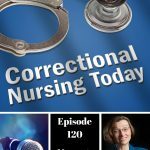 Thirdly, we know working in a correctional setting has its set of unique challenges. And, as Darryl commented, it’s easy to become complacent, and can be dangerous. Great job ladies !!!! 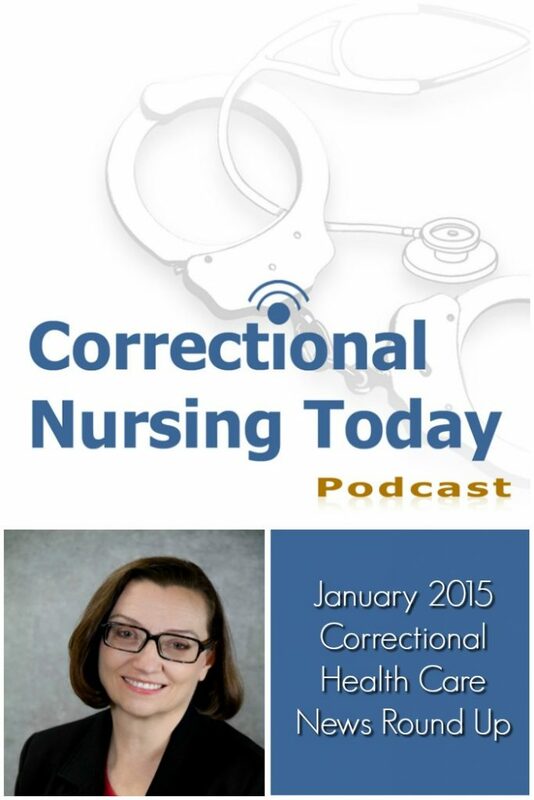 Thank you for sharing your knowledge and experiences with Correctional Nurses.